Today during Chill & Chat some students were surprised to find out how many different amusement parks there are in Orlando. Most people think about Disney when they hear the word “Orlando” but did you know that there are 6 parks within Disney? It’s not just the famous Cinderella’s castle in Magic Kingdom. In Disney World you can also go to Epcot Center, which features food and attractions from around the world. If you like animals, you can go to Animal Kingdom where it is possible to go on a safari and see lions, giraffes, and more. For people who like movies, Hollywood studios could be the place to visit. In the summer it might also be a good idea to go to the waterparks, either Typhoon Lagoon or Blizzard Beach. 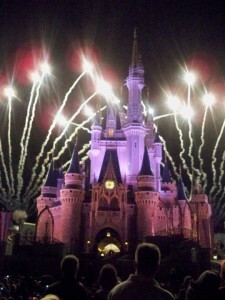 Outside of Disney, there are other amusement parks in the area too. Many students like to go to Universal Studios, which has a movie-related focus and it even has a special Harry Potter theme park. If you like aquariums, you could go to Sea World to see the dolphins and whales. All in all, it’s a great idea to do a one or two day trip to Orlando while you are studying English in Miami at EC. If you have questions about the trips that we offer to Orlando, ask at the front desk!